Partly cloudy. Windy this evening. Slight chance of a rain shower. Low 39F. N winds at 20 to 30 mph, decreasing to 10 to 15 mph.. Partly cloudy. Windy this evening. Slight chance of a rain shower. Low 39F. N winds at 20 to 30 mph, decreasing to 10 to 15 mph. Next month, the University of Nebraska State Museum will celebrate the return of an historic Japanese friendship ambassador doll, Miss Mie. Last July, the 83-year-old doll was taken to her original home in Mie Prefecture, Japan, for repairs and other conservation work. The work was followed by homecoming celebrations and exhibitions in 10 Japanese cities. The doll returned to the Nebraska museum in late May. A special exhibit honoring her return opens at Morrill Hall on July 3 and runs through the end of October. Miss Mie has been in the museum since 1928. In 1927, 58 friendship dolls were sent to the United States as good-will gifts to American children from the children of Japan. 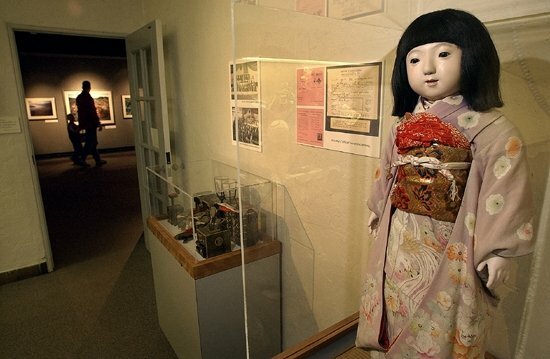 Japanese children received American Blue-eyed dolls in exchange. 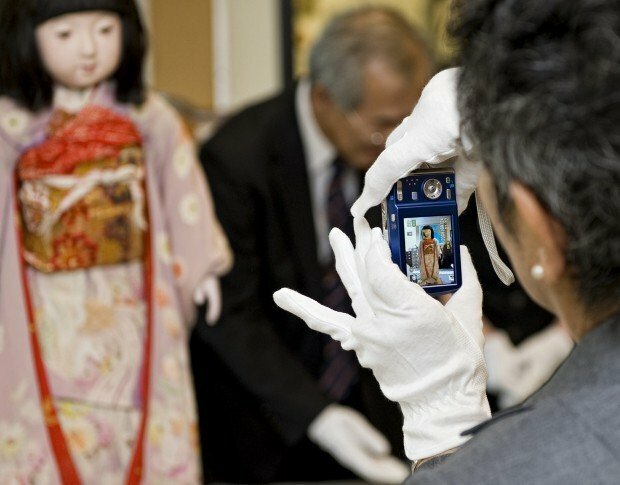 A Japanese delegation traveled to Lincoln the other day just to inspect a doll.